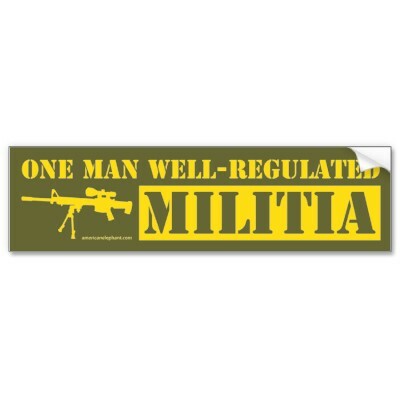 WILL NOBAMA DECLARE MARTIAL LAW TO STOP THE ELECTIONS !!!!! 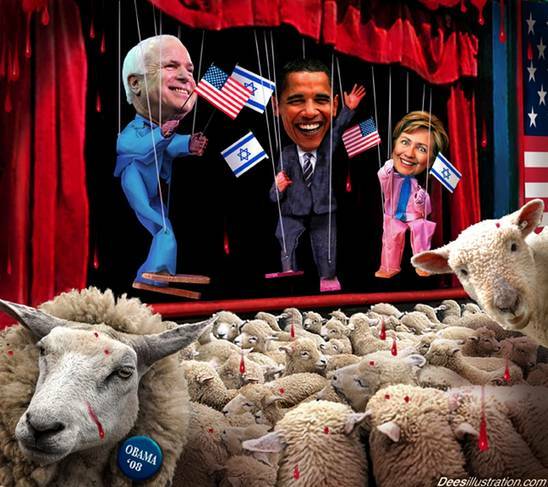 Rumors have been floating around the internet for the past week or so that Obama signed NDAA into law before Christmas. Well, he didn’t. But that doesn’t really matter now, because today he did. According to the ACLU, President Barack Obama just signed one of the most controversial bills into law since the Patriot Act. The sad part is that neither the House nor the Senate nor Obama seemed to think it was all that controversial, as it passed overwhelmingly in both the House and the Senate, and the president just signed it (even though he had at one time threatened to veto). In case you haven’t heard, H.R. 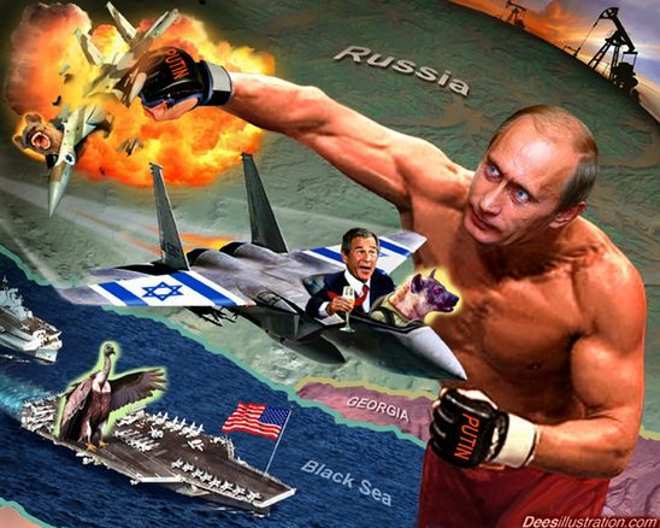 1540: National Defense Authorization Act for Fiscal Year 2012 or NDAA, is not your typical defense spending bill. 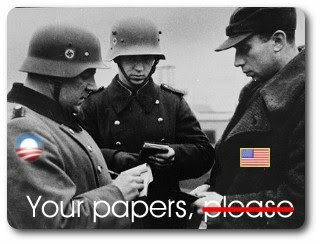 It gives authority to the president (or perhaps it’d be more fitting to call him king or ruler at this point) to order the military to indefinitely detain U.S. citizens without official charge or trial on the mere suspicion of being a terrorist or linked to a terrorist organization. Many in government will argue that there is nothing for Americans to worry about — unless you’re a terrorist that is. But as our government slips further and further from the rule of law and the founding principles of our nation that once made us great, tyranny inevitably creeps in to take its place. And when tyranny reigns, the line between who is a terrorist and who isn’t becomes easily blurred. A “terrorist” could simply mean a political enemy of the state. The citizens of our country that understand what happened when Obama lifted his pen off the dotted line (while on vacation in Hawaii) wonder why their elected representatives don’t remotely represent them or stand up for the Constitution as they swear to do. In a previous article I pointed out that the U.S. senators from Utah were divided in their vote on this bill. 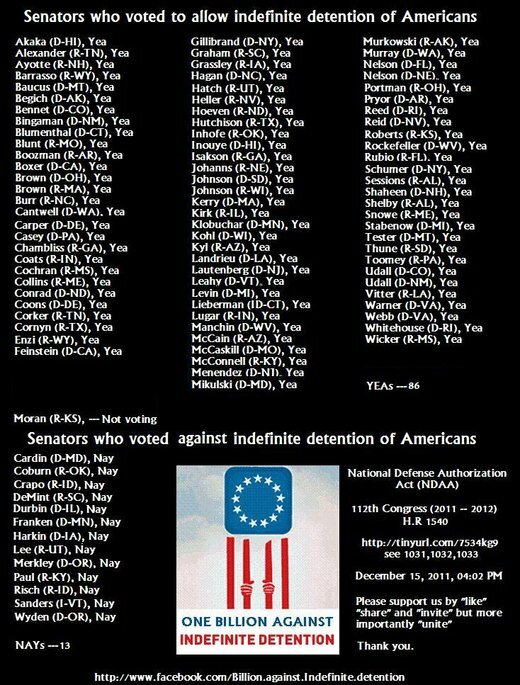 Senator Orrin Hatch voted for NDAA, while Senator Mike Lee was one of only seven senators in the country that voted against it. 68 percent of the House voted in favor, and only one of three U.S. congressmen from Utah earned his title of “representative” by voting against the bill: Rep. Jason Chaffetz. We’re well down a dangerous path, here — trying to preserve our safety by trading away what makes us American. Being “suspected” of having connections to terrorism is not justification for removing our right to due process. Some people I respect voted for this, but I’m afraid I strongly feel that this is a really bad bill. Little by little, in the name of fighting terrorism, our Bill of Rights is being repealed…The Patriot Act, as bad as its violation of the 4th Amendment, was just one step down the slippery slope. 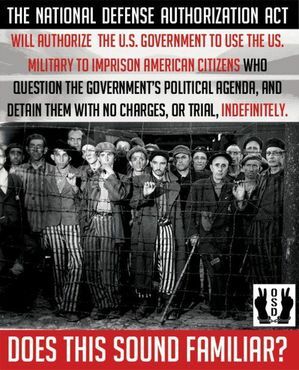 The recently passed (NDAA) continues that slip toward tyranny and in fact accelerates it significantly. The main section of concern, Section 1021 of the NDAA Conference Report, does to the 5th Amendment what the PATRIOT Act does to the 4th. The 5th Amendment is about much more than the right to remain silent in the face of government questioning. It contains very basic and very critical stipulations about due process of law. The government cannot imprison a person for no reason and with no evidence presented or access to legal counsel. 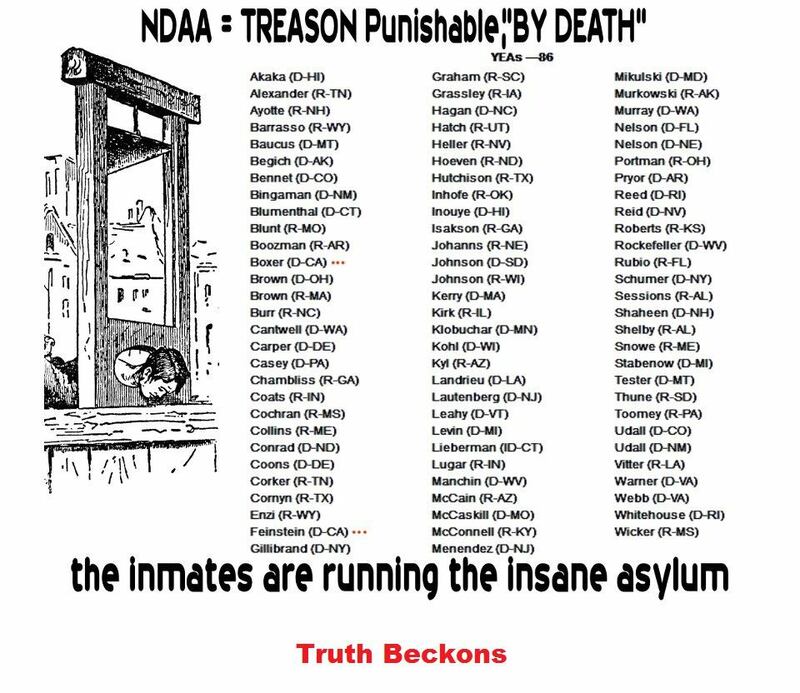 The dangers in the NDAA are its alarmingly vague, undefined criteria for who can be indefinitely detained by the US government without trial. It is now no longer limited to members of al Qaeda or the Taliban, but anyone accused of “substantially supporting” such groups or “associated forces.” How closely associated? And what constitutes “substantial” support? What if it was discovered that someone who committed a terrorist act was once involved with a charity? Or supported a political candidate? Are all donors of that charity or supporters of that candidate now suspect, and subject to indefinite detainment? Is that charity now an associated force? The Bill of Rights has no exemption for ‘really bad people’ or terrorists or even non-citizens. It is a key check on government power against any person. That is not a weakness in our legal system; it is the very strength of our legal system. The NDAA attempts to justify abridging the bill of rights on the theory that rights are suspended in a time of war, and the entire Unites States is a battlefield in the War on Terror. This is a very dangerous development indeed. Beware. 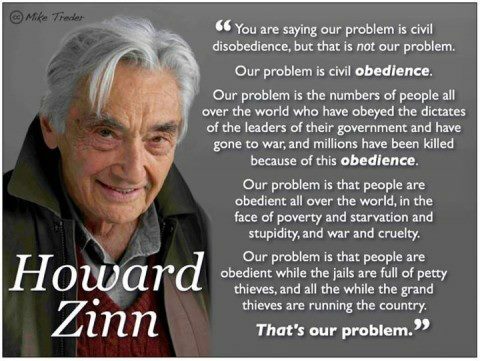 It should be painfully obvious to Americans by now that if they continue to vote for the status quo, no matter if it’s Republican or Democrat, then the attack on civil liberties and the dismantling of the Constitution will inevitably continue. So raise your glasses to toast the new year. It’s not even midnight, and your right to due process has already been taken away. What’s next? 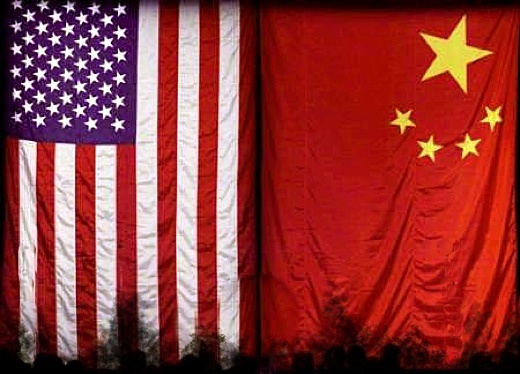 NDAA S1867 HR1540 Section 1031E – 1032 !!! TRAITORS, TREASON & TYRANTS !!!! 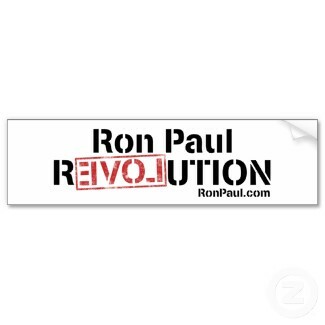 USA Without PRESIDENT RON PAUL 2012 !!! YOU DECIDE !!! 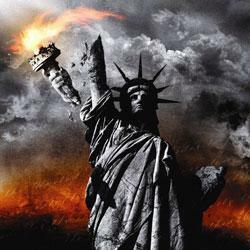 AMERICA’S FUTURE WITHOUT PRESIDENT RON PAUL !!! 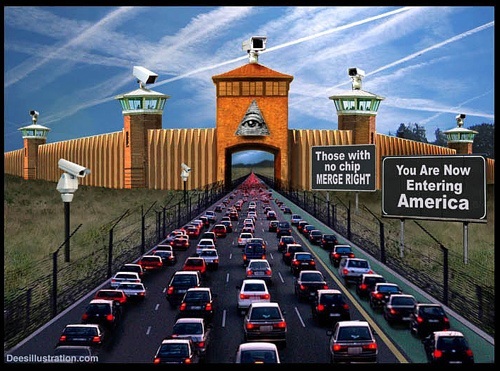 RON PAUL OR FEMA CAMPS AND INTERNET KILL SWITCH !!! YOU DECIDE !!!! 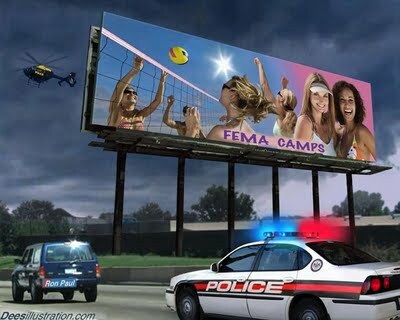 RON PAUL OR FEMA CAMPS !!!! YOU DECIDE !!! 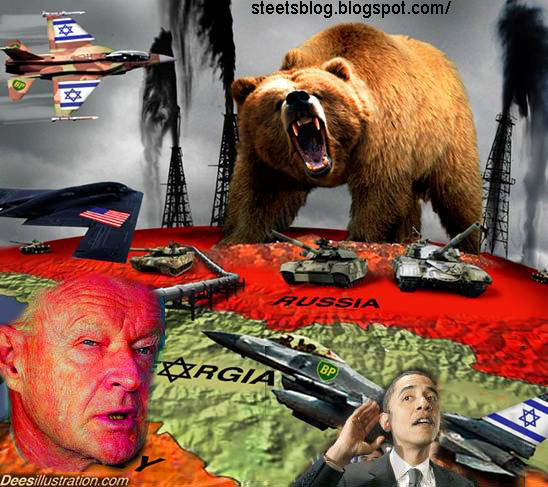 False Flags & Hegelian Dialectic !!!! 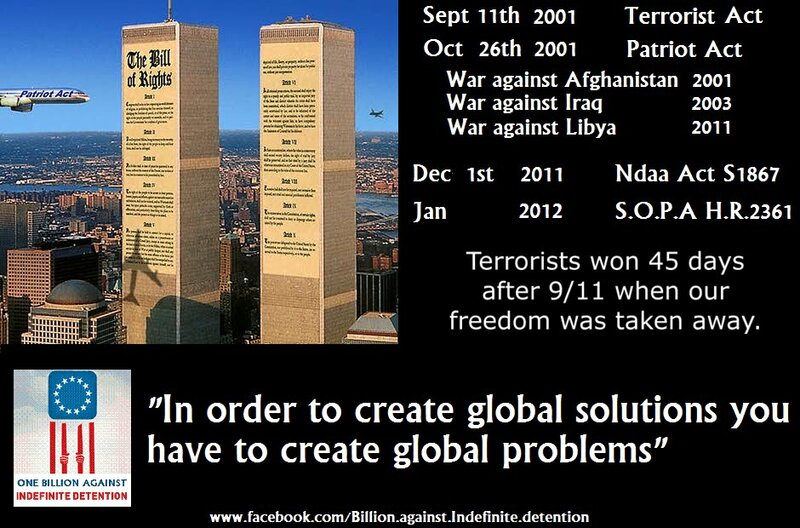 A history of false flag attacks used to manipulate the minds of the people! 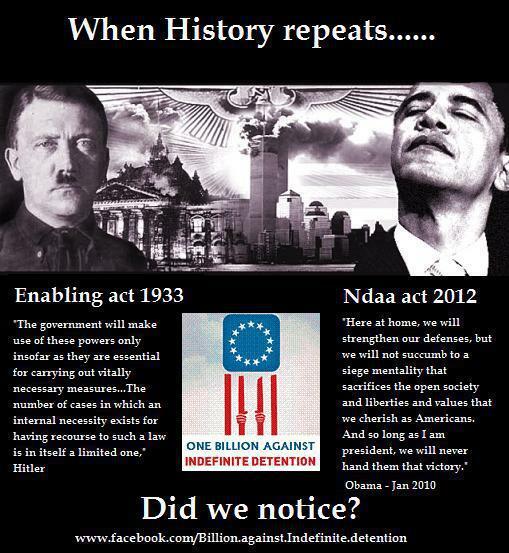 Hitler’s Enabling Act + Reistag Decree = NDAA HR1540 S1867 + Patriot Act !!!! In history there are events which stand as milestones marking points of no return. Usually, however such moments are only visible in hind sight. 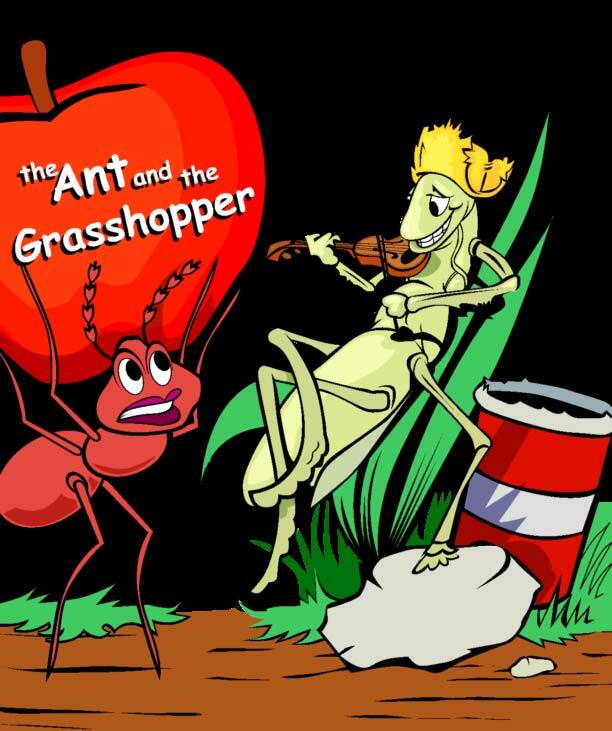 STRIKE – BOYCOTT – STOP COMPLIANCE – STOP CONSENT – YOU ARE THE RESISTANCE – WE THE PEOPLE HAVE THE POWER @ 99% – WE THE PEOPLE VERSUS THE MACHINE – GRASSHOPPER AND THE ANT !!! MARIO SAVIO – WE THE PEOPLE VERSUS THE MACHINE !!! 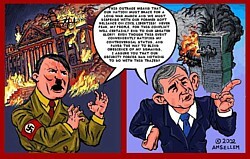 Top tier presidential candidate Ron Paul has decried the ‘indefinite detention’ provision of the National Defense Authorization Act, warning that it represents an arrogant, bold and dangerous attempt to establish martial law in America. Speaking with the Alex Jones Show today, Congressman Paul went on the offensive against the bill, which is set to be signed into law by President Obama later this week. 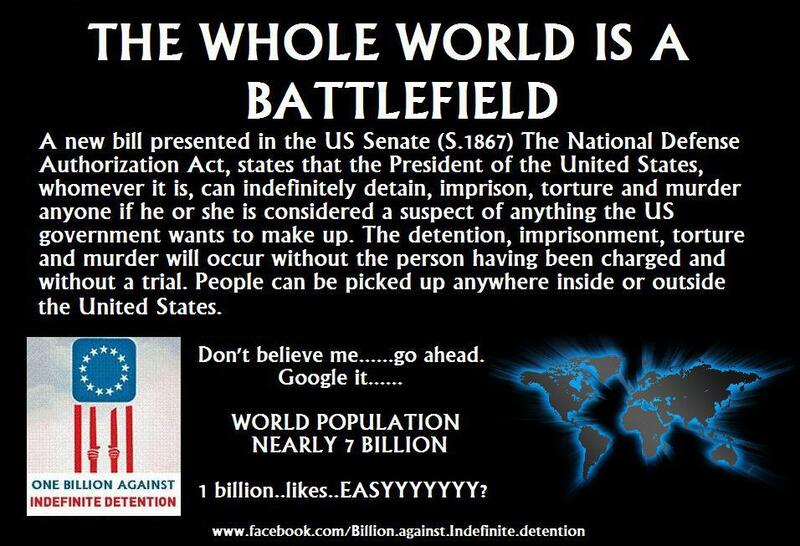 Section 1031 of the NDAA bill, which itself defines the entirety of the United States as a “battlefield,” allows American citizens to be snatched from the streets, carted off to a foreign detention camp and held indefinitely without trial. The bill states that “any person who has committed a belligerent act” faces indefinite detention, but no trial or evidence has to be presented, the White House merely needs to make the accusation. Paul said he saw significance in “the announcement and the arrogance of it all,” making reference to the Obama administration’s claim that it can now assassinate American citizens anywhere in the world and noting that the passage of the NDAA bill is an effort to codify the policy into law. 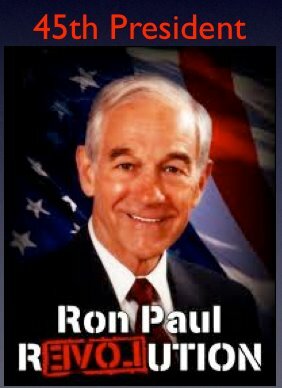 “This is a giant step – this should be the biggest news going right now – literally legalizing martial law,” said Paul, noting that the subject did not come up at all in any of the Republican debates. The Congressman also decried the “arrogance” of an attempt to push through via a voice vote an amendment that would have still authorized indefinite detention even if a detainee was found innocent after a trial. The amendment was narrowly defeated by his son, Senator Rand Paul. Despite speculation that the Obama administration would veto the bill, it emerged yesterday that it was the White House itself which worked to remove language from the bill that would have protected American citizens from indefinite detention under Section 1031. The administration has been working with lawmakers to alter a separate provision, Section 1032, which pertains to the military being required to take custody of individuals. With the administration’s concerns over Section 1032 now largely resolved, a revised and final version of the bill could be signed into law before the end of the week. “The conferees said they plan to bring the bill to the House floor for a vote as soon as Wednesday afternoon and to the Senate soon thereafter,” reports Politico. Despite the revisions, the bill still contains language that allows Americans to be detained without trial at a detention center anywhere in the world. Republican Congressman Justin Amash has again warned that lawmakers are attempting to mislead the American people by claiming U.S. citizens are exempt from the most dangerous provisions of the bill. “Pres. Obama and many Members of Congress believe the President ALREADY has the authority the bill grants him. Legally, of course, he does not. This language was inserted to keep proponents and opponents of the bill appeased, while permitting the President to assert that the improper power he has claimed all along is now in statute,” writes Amash. “They will say that American citizens are specifically exempted under the following language in Sec. 1032: “The requirement to detain a person in military custody under this section does not extend to citizens of the United States. Don’t be fooled. All this says is that the President is not REQUIRED to indefinitely detain American citizens without charge or trial. It still PERMITS him to do so,” warns the Congressman. 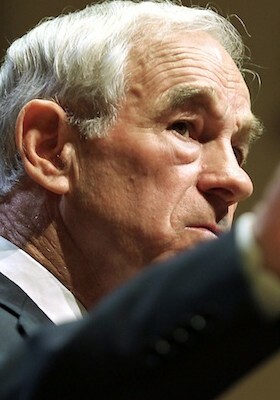 Click here to listen to the interview with Ron Paul in full. 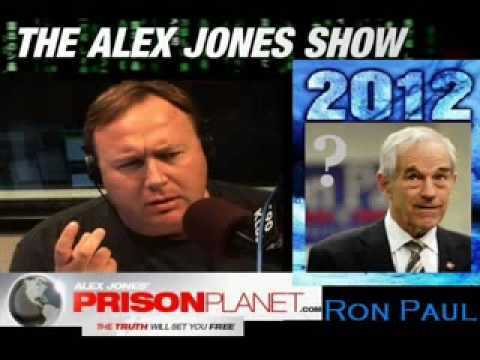 Appearing on the Alex Jones Show today, Texas Rep. and presidential candidate Ron Paul said Attorney General Eric Holder should be fired immediately and Congress should investigate his role in the Fast and Furious operation run by the ATF and the Justice Department. The covert operation provided a large number of firearms to Mexican drug cartels waging war with one another and the Mexican government. “He should be immediately fired,” Paul told Alex Jones, “and then there should be an investigation and find out if charges should be made.” He specifically criticized the government for continuously engaging in politically motivated and criminal behavior he characterized as false flag operations. Documents released by CBS News reveal Fast and Furious was exploited to demonize the Second Amendment. “Emails obtained by the network show ATF agents discussing how they could tie guns involved in Mexican violence to gun dealers based in the U.S. to justify the implementation of Demand Letter 3, a regulation that would require U.S. gun stores to report the sale of multiple rifles,” Paul Joseph Watson wrote on December 7. 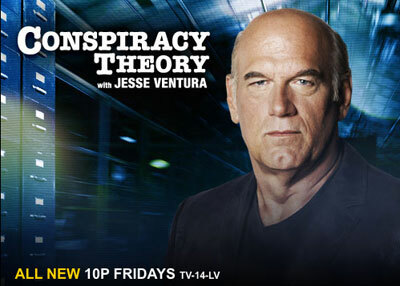 Following the arrest of a suspect it was discovered the plot was concocted by the FBI. An undercover DEA informant had “strongly pushed” the assassination idea on Mansour J. Arbabsiar, an Iranian-American used-car salesman who was “perennially disheveled” and “hopelessly disorganized,” according to news reports. 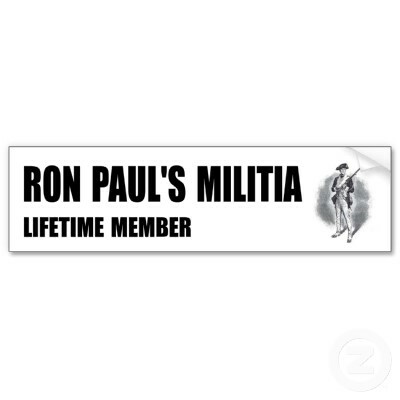 Rand Paul S1867 NDAA HR1540 !!! American “Suspects” Jailed for LIFE !!! GUILTY UNLESS PROVEN INNOCENT AS A “SUSPECT” NOT INNOCENT UNTIL PROVEN GUILTY !!!! “In Germany, they came first for the Communists, and I didn’t SPEAK UP because I wasn’t a Communist. Horizontal bars indicate the two senators from a state voted differently. Cartograms give an equal area in an image to an equal number of votes by distorting the image. Senate vote cartograms are shown with each state stretched or shrunk so that the states each take up an equal area because each state has two votes. For House votes, it is each congressional district which is stretched or shrunk. Join The Exclusive Intel Hub Mailing List! This is one of the most tragic events I have written about since establishing End the Lie over eight months ago: the horrendous bill that would turn all of America into a battlefield and subject American citizens to indefinite military detention without charge or trial has passed the Senate. To make matters even worse, only seven of our so-called representatives voted against the bill, proving once and for all (if anyone had any doubt remaining) that our government does not work for us in any way, shape, or form. 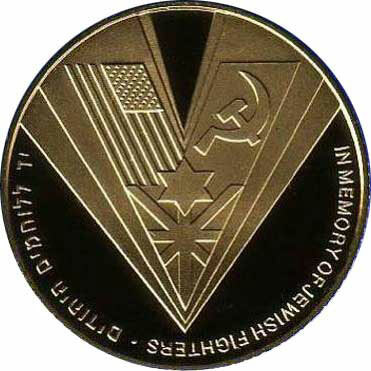 S.1867, or the National Defense Authorization Act (NDAA) for the fiscal year of 2012, passed with a resounding 93-7 vote. That’s right, 93 of our Senators voted to literally eviscerate what little rights were still protected after the PATRIOT Act was hastily pushed in the wake of the tragic events of September 11th, 2001. The NDAA cuts Pentagon spending by $43 billion from last year’s budget, a number so insignificant when compared to the $662 billion still (officially) allocated, it is almost laughable. The bill also contained an amendment which enacts strict new sanctions on Iran’s Central Bank and any entities that do business with it, a move which will likely have brutal repercussions for the Iranian people – just like the sanctions on Iraq did. Not a single Senator voted against this amendment, which was voted on soon before the entirety of S.1867 was passed, despite the hollow threats of a veto from the Obama White House. Based simply on historical precedent, I trust Obama’s promises as much as I trust the homeless man who told me he was John F. Kennedy. 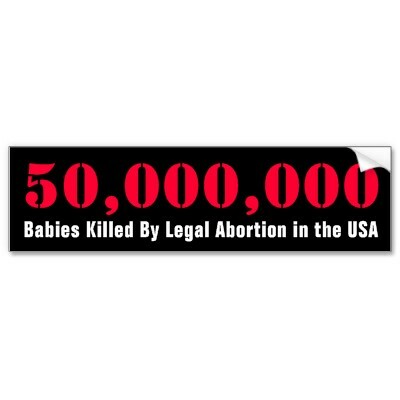 I wish that I could believe that the Obama administration would strike down this horrific bill but I would be quite ignorant and naïve if I did so. 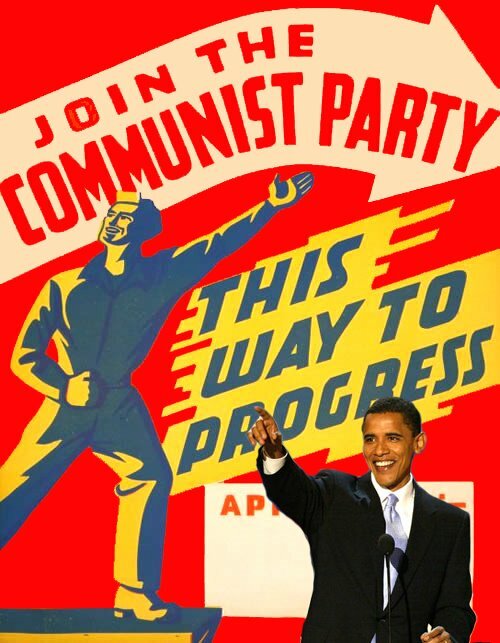 Obama’s opposition has nothing to do with the rule of law or protecting Americans, in fact, Senator Levin disclosed and Dave Kopel reported that, “it was the Obama administration which told Congress to remove the language in the original bill which exempted American citizens and lawful residents from the detention power”. As I have detailed in two past articles entitled Do not be deceived: S.1867 is the most dangerous bill since the PATRIOT Act and S.1253 will allow indefinite military detention of American civilians without charge or trial, the assurances that this will not be used on American citizens are hollow, evidenced by the fact that the Feinstein amendment to S.1867, amendment number 1126, which, according to the official Senate Democrats page, was an attempt at “prohibiting military authority to indefinitely detain US citizens” was rejected with a 45-55 vote. Let’s examine some of the attempts to convince the American people that this will not change anything and that we will still be protected under law. While this might sound reassuring to some, one must realize that the government can interpret just about anything as engaging “in a deliberate and substantial act that directly supports their efforts against us in the war on terror”. Consider the fact that the Homeland Security Police Institute’s report published earlier this year partly focused on combating the “spread of the [terrorist] entity’s narrative” which sets the stage for the government being able to declare that spreading the narrative amounts to “a deliberate and substantial act that directly supports their efforts against us in the war on terror”. Part of these domestic efforts highlighted in the report is combating the “spread of the [terrorist] entity’s narrative” but never addressed is why exactly extremist groups have the ability to spread their narrative. A frightening conclusion that can be drawn from the focus on the “spread of the entity’s narrative” is that such claims could be used to justify limiting the American right to free speech. It would be very easy to justify eliminating free speech if much of the United States was convinced of the danger of spreading terrorist narrative. The report doesn’t specifically explain what the narrative is or why it is so dangerous, but one could assume that any anti-government, anti-war, anti-corporatist and pro-human rights speech could be squeezed under this umbrella. 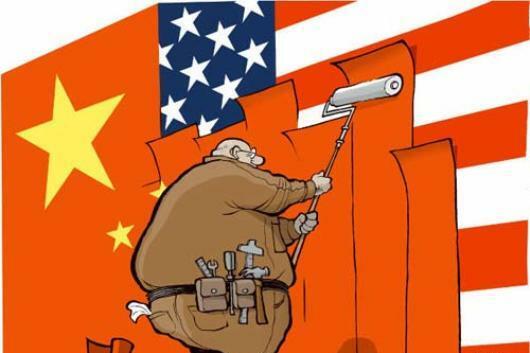 Essentially, anything that criticizes or questions the United States could easily be demonized because it is allegedly spreading “the entity’s narrative”. This raises an important question: could my work and the work of others devoted to exposing the fraud that is the “war on terror” and the intimate links between our government and the terrorist entities they are supposedly fighting be considered to be supporting these entities? 1) The Department of Defense actually put a question on an examination saying that protests are an act of “low-level terrorism” (which they later deleted after the ACLU sent a letter demanding it be removed). 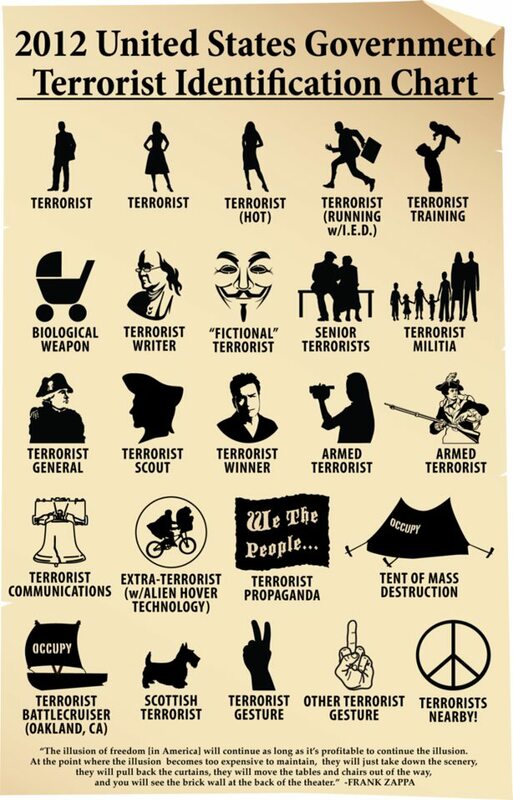 2) Anti-war activists and websites are deemed worthy of being treated as terrorists and being listed on terrorist watchlists. 3) We likely will never even be told how exactly the government is interpreting S.1867. In the case of the PATRIOT Act (which is overwhelmingly used in cases that are unrelated to terrorism in every way), there is in fact a secret interpretation of the PATRIOT Act, as revealed by Senator Ron Wyden back in May. In October, the American Civil Liberties Union (ACLU) filed a lawsuit (read the PDF here) in an attempt to force the government to reveal the details of the secret interpretation of the PATRIOT Act. As of now, we still do not know how the PATRIOT Act is interpreted by the government, meaning that we have no idea how it is actually being used. I do not believe that it would be reasonable to make the assumption that S.1867 would be interpreted in a straightforward manner, meaning that all of the assurances being made by Senators are worthless. The fact that the establishment media continues to peddle the blatant lie that is the claim that S.1867 will not be used on American citizens is beyond me. This is especially true when one considers the fact that lawyers for the Obama administrations reaffirmed that American citizens “are legitimate military targets when they take up arms with al-Qaida,” although we all know that no proof or trial is required to make that assertion. As evidenced by the case of Anwar al-Awlaki, no trial is needed for our illegitimate government to assassinate an American citizen. We can only assume that it is just a matter of time until American citizens are declared to be supporting al Qaeda and killed on American soil without so much as a single court hearing. Yet, of course, they fail to cite the amendment, and quote Senator Feinstein in saying, “It supports present law,” even though Feinstein’s amendment was not passed. The fact that the corporate-controlled establishment media is barely covering this – if at all – is just another piece amongst the mountains of evidence showing that they are complicit in the criminal conspiracy that is dominating our government. Every single Senator that voted for this amendment is a traitor. It’s that simple. 97 of our so-called representatives, which you can see listed in full here, are actively working against the American people. 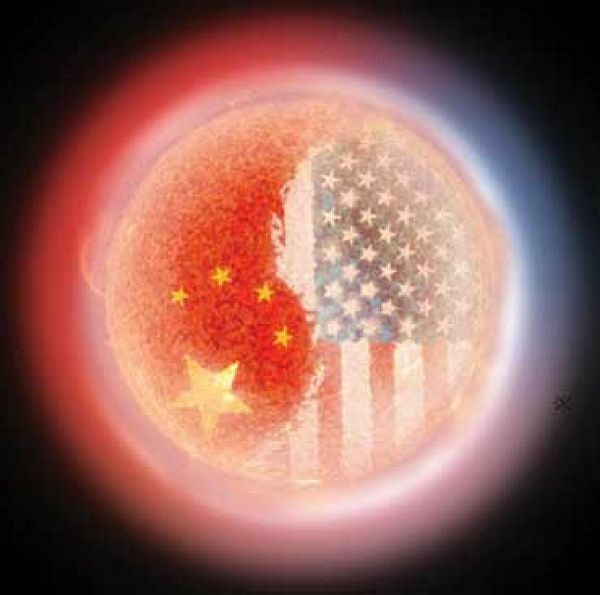 They are turning the United States into such a hellish police state that the world’s most infamous dictators would be green with envy. Unsurprisingly, the top stories on Google News makes no mention of the atrocious attack on everything that America was built upon that is embodied by S.1867. This legislation is clearly being minimized and marginalized in the press, as if it is some minor bill that will never be invoked in order to detain Americans indefinitely without charge or trial. That is patently absurd and to assume such would be nothing short of ignorant to an extreme degree, given that the American government utilizes every single possible method to exploit, oppress and assault Americans who stand up for their rights. Furthermore, the Senators who voted against S.Amdt.1126, the amendment to S.1867 which would have limited “the authority of the Armed Forces to detain citizens of the United States under section 1031” should be considered traitorous criminals of the highest order, not to say that all 97 of those who voted for S.1867 are any better. These Senators are not only defying their oath of office in waging war on the Constitution, they are also fighting to destroy the most critical rights we have in this country and in doing so are desecrating everything that our forefathers gave up their lives for. Instead of British troops patrolling the streets in their red coats, it will be American soldiers who have the authority to detain you forever without a shred of evidence if they decide you’re a terrorist or supporting any organization affiliated with al Qaeda. How they define that is anyone’s guess, but given that the entire interpretation of the PATRIOT Act is regarded as a state secret, we can assume that we will never even get to know. Moreover, the fact that no charges or trial are needed under S.1867, the government needs no proof of supporting, planning, or committing terrorism whatsoever. Since no evidence will ever be presented given that no trial or charges will ever be filed, they need not worry about that pesky thing called habeus corpus or anything resembling evidence of any kind. All they need to do is declare that you’re an enemy combatant and suddenly you’re eligible to be snatched up by military thugs and locked away never to see the light of day again. As far as I have seen, there are no detailed requirements set forth in the bill which have to be met before the military can indefinitely detain, and torture (or conduct “enhanced interrogation” if you’d prefer the government’s semantic work-around), Americans and people around the world. What is stopping them from creating accounts for Americans who are actively resisting the fascistic police state corporatocracy which our once free nation has become on some jihadi website and using it has justification to claim these individuals are involved with terrorists? What is stopping them from manufacturing any flimsy piece of evidence they can point to, even though they never actually have to present it or have it questioned in a court of law, in order to round up American dissidents? The grim answer to these disturbing questions is: nothing. I regret having to say such a disheartening thing about the United States of America, a country I once thought was the freest nation in the world, but it is true. I must emphasize once again that our government considers even ideology and protest to be a low level act of terrorism, so if you’re anti-war, pro-peace, pro-human rights, pro-justice, anti-corruption, or even worse, if you’re like me and expose the criminal government in Washington that supports terrorism while criminalizing American citizens, you very well might be labeled a terrorist. Keep in mind that the House sister bill, H.R.1540, was passed with a 322-96 vote on May 26th, now all that is stopping this ludicrous from utterly eliminating the Bill of Rights is resolving the differences which will be done by the following appointed conferees: Levin; Lieberman; Reed; Akaka; Nelson NE; Webb; McCaskill; Udall CO; Hagan; Begich; Manchin; Shaheen; Gillibrand; Blumenthal; McCain; Inhofe; Sessions; Chambliss; Wicker; Brown MA; Portman; Ayotte; Collins; Graham; Cornyn; Vitter. Unsurprisingly, not a single person who voted against S.1867 is included in that list. 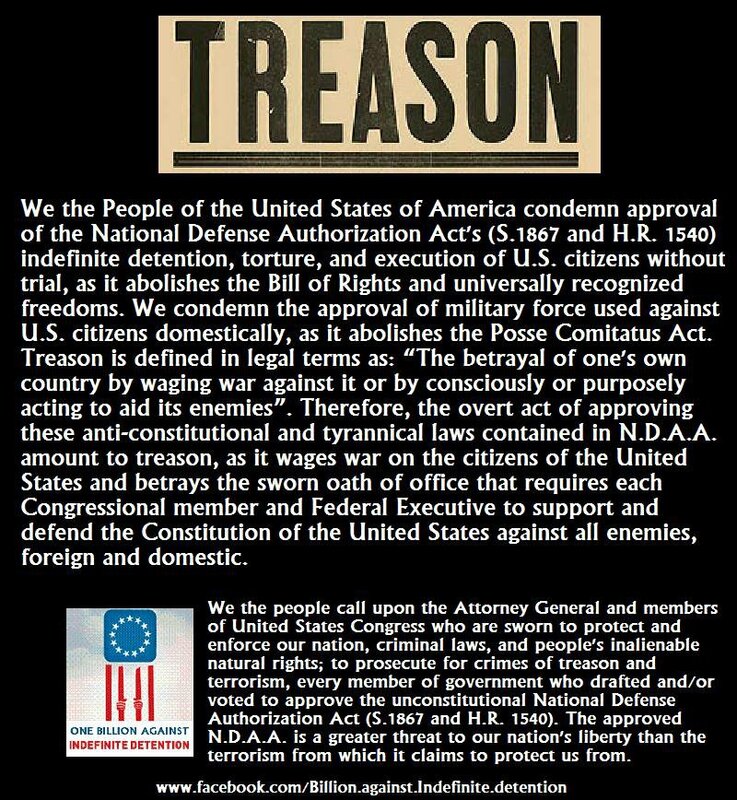 I do not hesitate in saying that what our so-called representatives have done is an act of treason that represents the single most dangerous move ever made by our government. Every single square inch of the United States is now a war zone and you or I could easily be declared soldiers on the wrong side of the war and treated as such. No proof, no charges, and no trial are required. They do not even have to draw spurious links to terrorist organizations in order to indefinitely detain you as they could easily declare the evidence critical to national security and thus withhold it for as long as they please. I will continue to hope that Obama decides to go against every single thing he has done after being sworn in but I think the chances are so slim that it is almost delusional to believe that he will do this. After all, the only reason his administration is opposing it is because it doesn’t give the executive enough power, not because it strips away every legal protection we have. If this is not the most laughably illegitimate reason to oppose the attack on all Americans that is S.1867, I don’t know what is. The most important question that remains unanswered, for which I am not sure that I have a viable solution, is: how do we stop this? Is there any way we can bring down a criminal government packed to the brim with traitorous co-conspirators in a just, peaceful manner? After all, if the American people resort to violence, we are no better than those bloodthirsty members of our armed forces and law enforcement who kill and beat human beings around our nation and the world with impunity. However, if our military and police forces realize that at any moment they too could be deemed enemy combatants and treated like subhuman scum and thus decide to refuse all unlawful orders and arrest the real terrorists in Washington, we might be able to reinstate the rule of law, the Constitution and the Bill of Rights which once defined our nation. Archduke Franz Ferdinand of Austria in 1914. 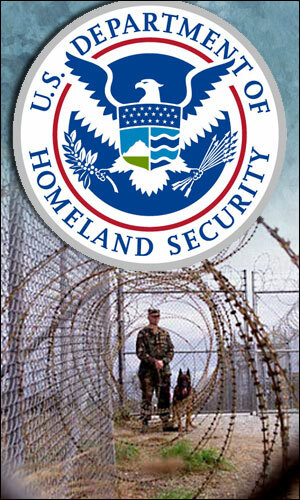 THE UNITED STATES GULAG GESTAPO OF THE IRON CURTAIN !!! 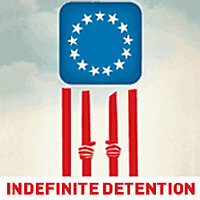 INDEFENITE DETENTION – NDAA !!! SO YOU DO NOT THINK THIS CAN HAPPEN IN AMERICA ? 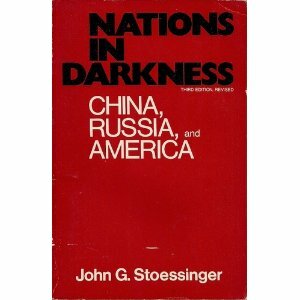 IT ALREADY HAS, SEE LAST VIDEO @ BOTTOM OF PAGE 1942 WW2 !!! 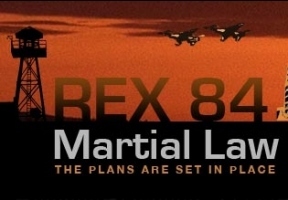 REX 84 – MARTIAL LAW !!! 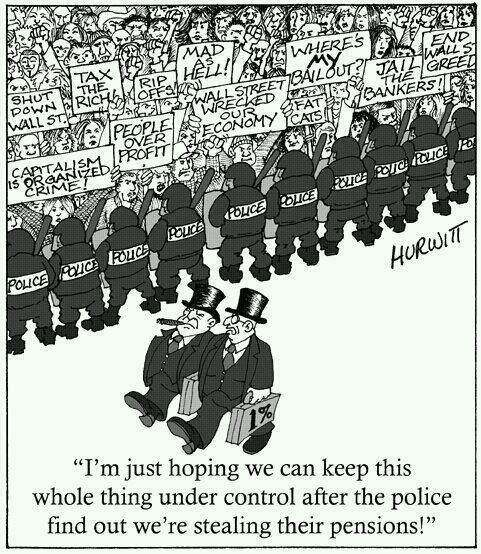 POLICE STATE ENOUGH YET – IMPERIAL EMPIRE MILITARY INDUSTRIAL COMPLEX WARS PROFITEERS !!!! 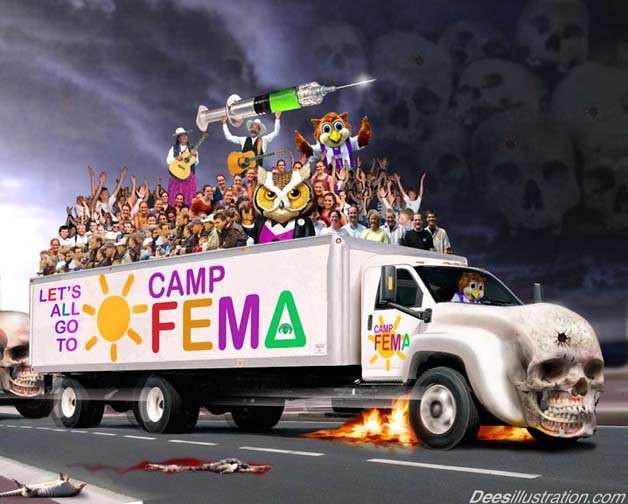 FEMA CAMPS !!! While nearly all Americans head to family and friends to celebrate Thanksgiving, the Senate is gearing up for a vote on Monday or Tuesday that goes to the very heart of who we are as Americans. The Senate will be voting on a bill that will direct American military resources not at an enemy shooting at our military in a war zone, but at American citizens and other civilians far from any battlefield — even people in the United States itself. Senators need to hear from you, on whether you think your front yard is part of a “battlefield” and if any president can send the military anywhere in the world to imprison civilians without charge or trial. The Senate is going to vote on whether Congress will give this president—and every future president — the power to order the military to pick up and imprison without charge or trial civilians anywhere in the world. 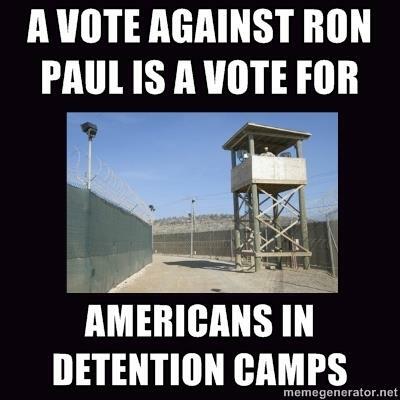 Even Rep. Ron Paul (R-Texas) raised his concerns about the NDAA detention provisions during last night’s Republican debate. The power is so broad that even U.S. citizens could be swept up by the military and the military could be used far from any battlefield, even within the United States itself. The answer on why now is nothing more than election season politics. The White House, the Secretary of Defense, and the Attorney General have all said that the indefinite detention provisions in the National Defense Authorization Act are harmful and counterproductive. The White House has even threatened a veto. But Senate politics has propelled this bad legislation to the Senate floor. 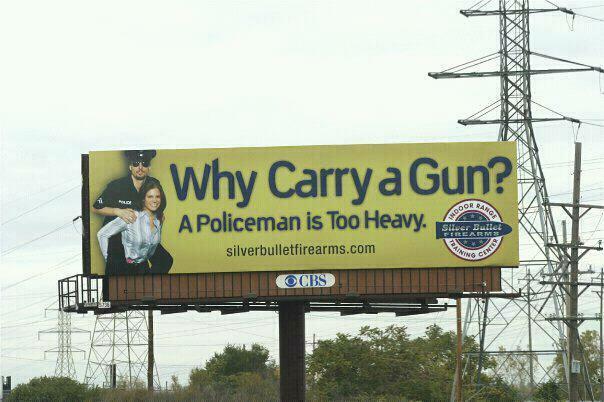 But there is a way to stop this dangerous legislation. Sen. Mark Udall (D-Colo.) is offering the Udall Amendment that will delete the harmful provisions and replace them with a requirement for an orderly Congressional review of detention power. The Udall Amendment will make sure that the bill matches up with American values. 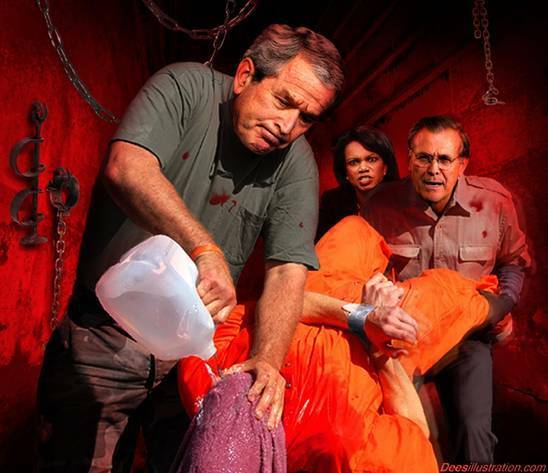 The solution is the Udall Amendment; a way for the Senate to say no to indefinite detention without charge or trial anywhere in the world where any president decides to use the military. Instead of simply going along with a bill that was drafted in secret and is being jammed through the Senate, the Udall Amendment deletes the provisions and sets up an orderly review of detention power. It tries to take the politics out and put American values back in. In response to proponents of the indefinite detention legislation who contend that the bill “applies to American citizens and designates the world as the battlefield,” and that the “heart of the issue is whether or not the United States is part of the battlefield,” Sen. Udall disagrees, and says that we can win this fight without worldwide war and worldwide indefinite detention. The senators pushing the indefinite detention proposal have made their goals very clear that they want an okay for a worldwide military battlefield, that even extends to your hometown. That is an extreme position that will forever change our country. Now is the time to stop this bad idea. Please urge your senators to vote YES on the Udall Amendment to the National Defense Authorization Act. US CONCENTRATION CAMPS OF 1942 IN AMERICA !!! The William Lewis Films/Gary Franchi production opens with newsreel footage from the World War II era explaining the internment of Japanese Americans. 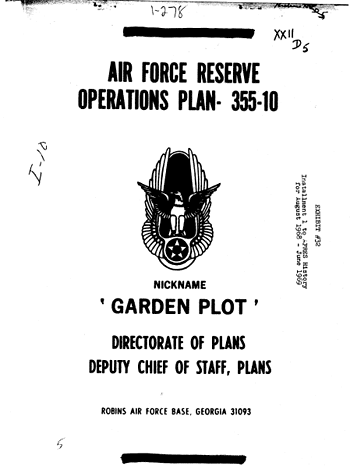 At that time, the facilities were not referred to as “FEMA camps” (for those with questions, research REX 84), but were called War Relocation communities, as there was no Federal Emergency Management Agency at the time. 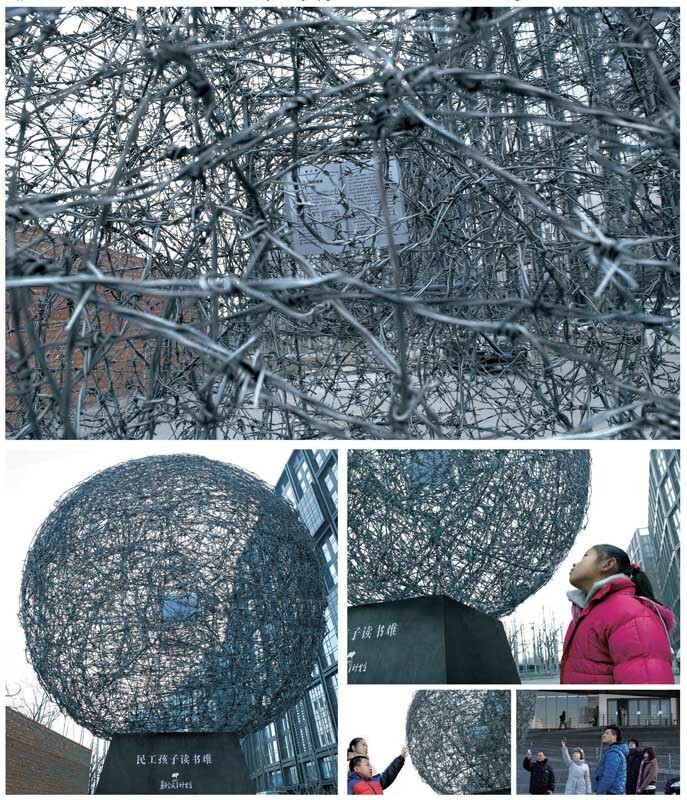 What is revealed by the first two minutes of the film, however, is that of those relocated to these “communities,” more than two-thirds were American citizens, a fact that sets the stage for the rest of the well-documented film. I DID NOT SPEAK UP !!! 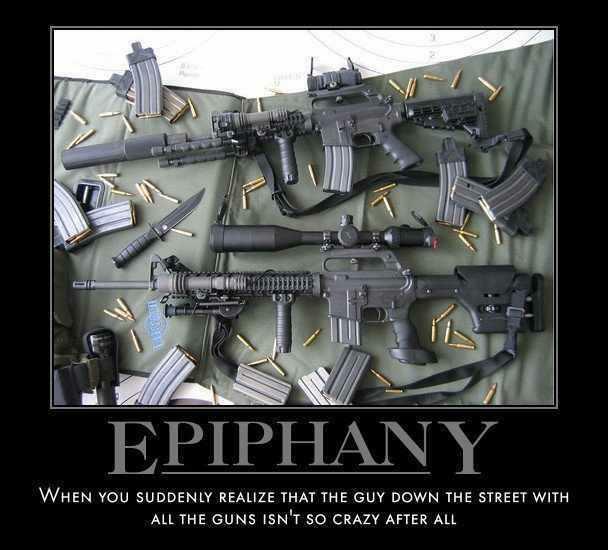 guns – 2a – nra – goa – second amendment – militia – God, Guns, Gold, Get Away Plan, Food, Water & Ammo ! 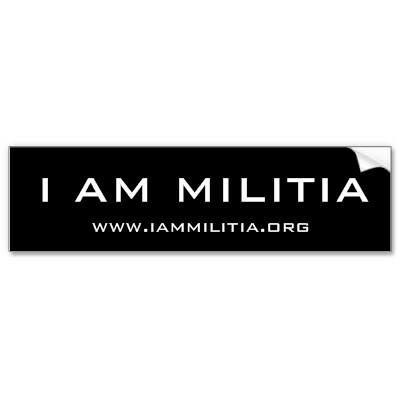 Minutemen – Revolution – Get/Be Prepared ! 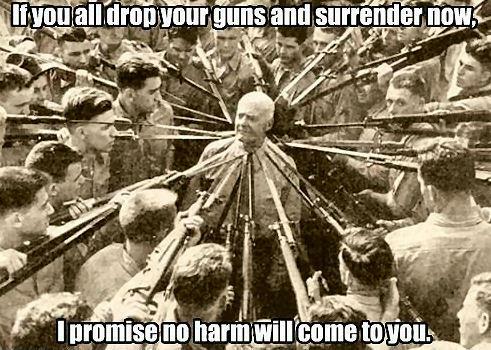 Preppers = God, Guns, Guts, Gold, Food, Ammo & Get Away Plan !!! With political instability spreading across the globe and fears of more Fukushima-style nuclear disasters, the number of doomsday believers is on the rise. But now it’s also the struggling global economy that’s increasingly making people stock up on basic neccessities. RT’s Anastasia Churkina met some Americans, who are ready for the worst. 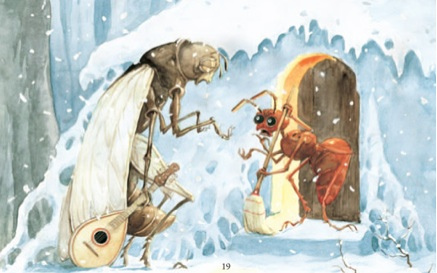 Prediction #1) Food supplies will become more scarce. Prediction #2) Food prices will double over the next 2-3 years, and then probably double again in another 2-3 years. Prediction #3) When food prices are 400% of today’s levels, backyard farming or gardening pays off big in terms of real dollar savings. In other words, as food prices skyrocket, it becomes increasingly more financially viable to grow your own food (or store it now while prices are low). I’m listing some resources below where you can learn more about growing your own food or storing high-density superfoods right now, but in the mean time, I’d like you to start considering the idea of starting your own garden in the spring. You can’t grow gold. You can’t print your own currency (unless you’re the Fed). But you CAN grow something more valuable than gold and money: Food! Lessons from post World War II Taiwan and why food is more valuable than gold I lived in Taiwan for two years, and I’ve had the opportunity to talk with people there who lived through the post World War II recovery. During the war, of course, Taiwan was occupied by the imperialist Japanese empire, and Taiwan existed in a state of military occupation (with perpetual martial law). After the war ended and the Japanese left, Taiwan bootstrapped its own government into power under Chiang Kai-shek. The old Taiwan currency was immediately printed in large quantities by the Taiwan government leading to a runaway inflation scenario for what is now called the “old Taiwan dollar.” Very quickly, however, the government launched a new currency called the New Taiwan dollar (NT$). By 1949, the old Taiwan dollar was being exchanged for the New Taiwan dollar (NT$) at a ratio of 40,000 to 1. (Yep. You had $40,000 and now it’s worth a buck…). During those years after WWII, if you wanted to rent an apartment, buy a house or find a place to live, cash was worthless and even GOLD wasn’t considered very useful. The only thing that represented real wealth was FOOD. 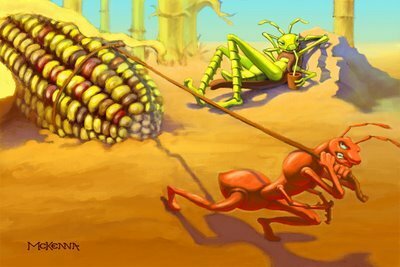 If you had food, you could trade it for anything: an automobile, a home, tools, clothing or even land. If you didn’t have food, you were bankrupt; regardless of how much cash or gold you had. A chicken that could lay eggs was worth more than an ounce of gold! You can’t eat gold, folks. And you can’t eat silver. Everybody has to eat to stay alive, and that means everybody needs a constant stream of food just to keep breathing. That’s why investing in food makes so much sense. 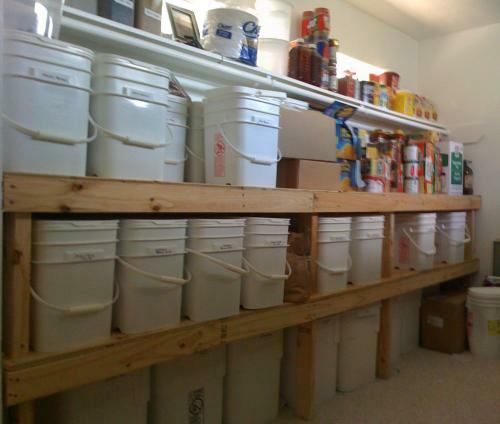 • Investing in storable food that you can save on the shelf and keep for future use or barter. • Investing in your own gardening skills so that you have the know-how to produce food when needed. • Investing in non-hybrid garden seeds so that you have the genetic blueprints to grow food that can propagate itself generation after generation. • Investing in farmland — especially farmland with water — that offers the fertility and climate to produce food. • Investing in educational courses that teach you how to create food through a variety of methods: Wildcrafting, gardening, sprouting and so on. 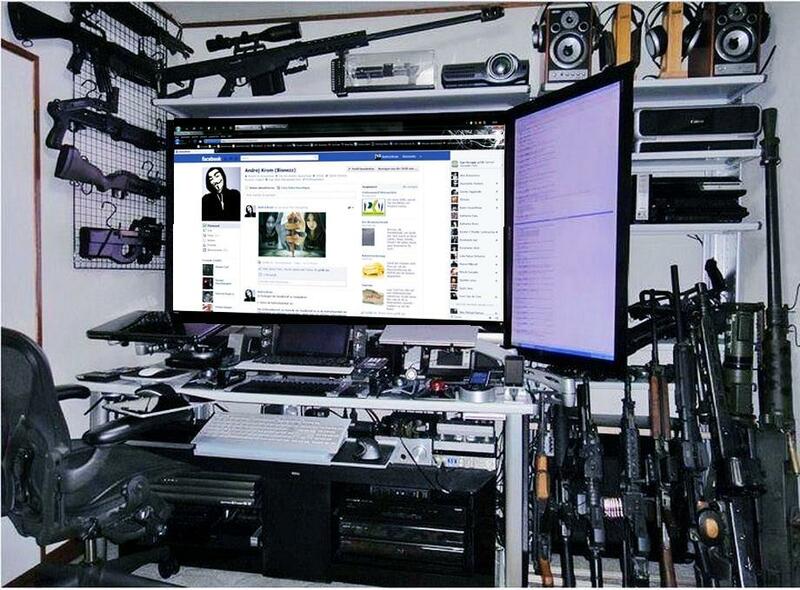 Domestic Terrorist Lists, Charts, Groups, Bumper Stickers & SUSPECTS !!! DO YOU QUALIFY ???? WHO ACCUSES YOU SECRETLY !!!! 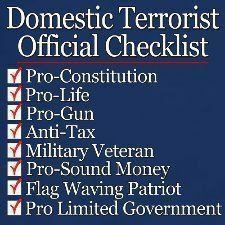 Are You on the Domestic Terrorist Official DHS Checklist ??? 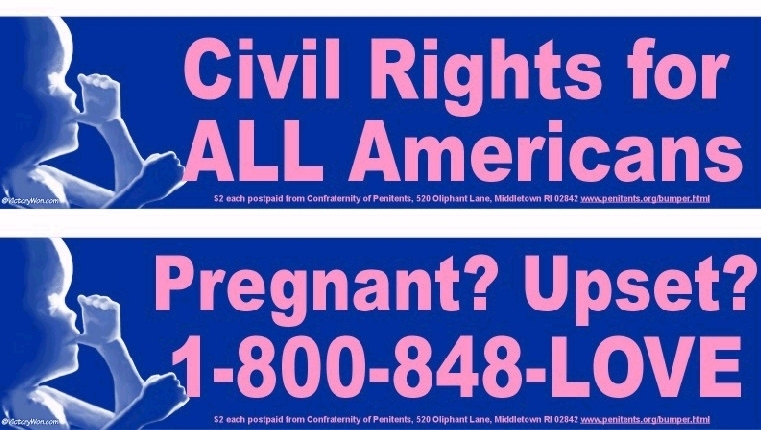 Domestic Terrorist Bumper Stickers ??? 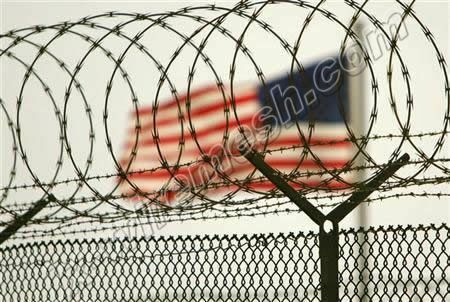 ACCUSED SUSPECTS AMERICAN CITIZENS JAILED FOR LIFE WITHOUT TRIAL BY US MILITARY !!! December 31, 2011 Daniel M. Parkman, Sr.
« NDAA SIGNED INTO LAW BY NOBAMA !! !